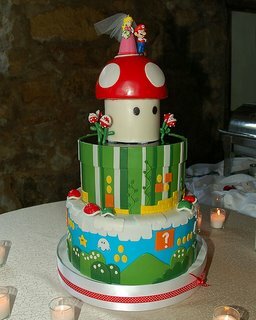 I wonder who or which company made this Mario themed wedding cake? It looks awsome. I wonder how it tasted? I wouldn't be able to take a few bites without hearing Mario sounds everytime I chewed or cut off a piece. Awsome.